Format: 2 x LP Limited edition 250 copies Clear vinyl. Includes: 12” double sided print, 5 x 5" postcards, 2 stickers. 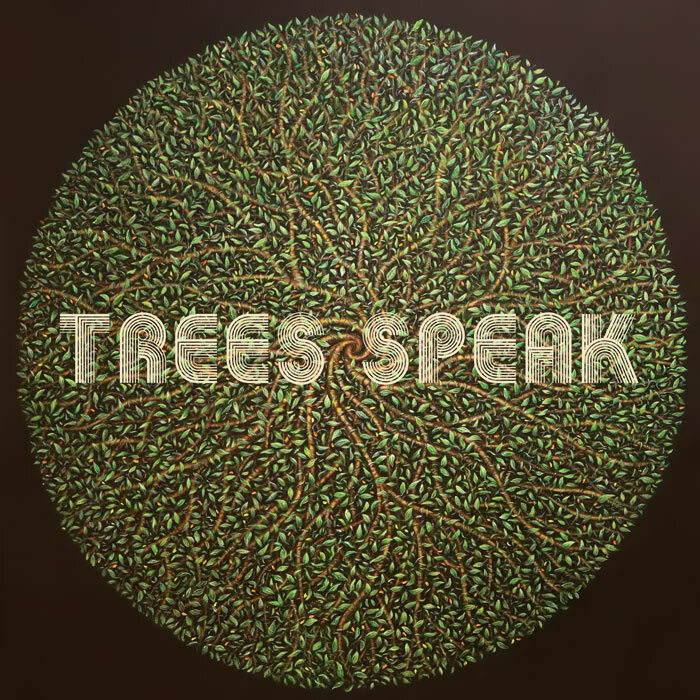 Trees Speak is an experimental rock band that transcend mainstream influences by incorporating elements of Avant-garde, Neo-psychedelic, Minimalism, art and electronic—along with violin-bowed guitar, Theremin and a glut of effects pedals, and it’s an ear-bending rush of lush soundscape. tracks were written over a 5 day period at Sacred Machine Studio and Dust & Stone Studio. LP: 02 - Players: Daniel Martin Diaz, Gabriel Sullivan, Connor Gallaher, Julius Schlosburg, Damian Diaz.